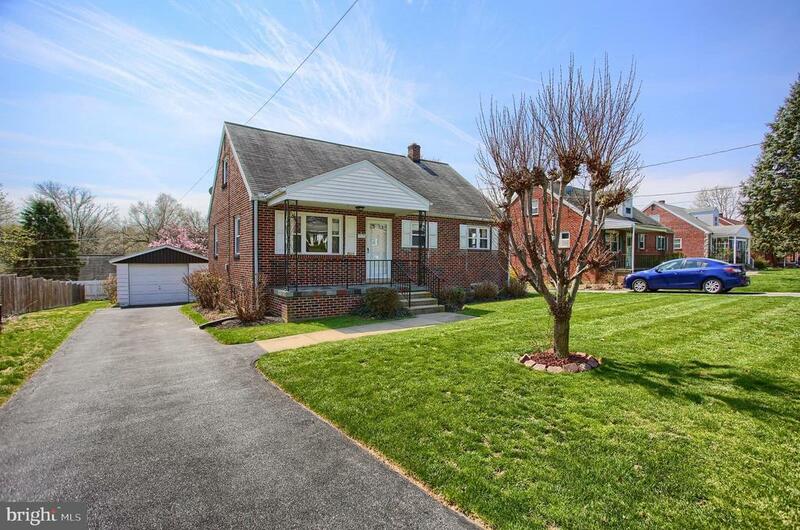 Welcome home to this virtually maintenance free all Brick Cape Cod which sits on a quiet cul-de-sac located near the Hamilton Park Community. A great starter home or for someone looking to downsize, there are 3 beds/1.5 baths and features 2 covered porches. There are some exposed hardwood floors (seller believes there is hardwood under some of the carpeted areas). The Living Room and Dining Room are great for entertaining with the Dining Room just off the Kitchen. Walk out from the Kitchen area onto the rear covered porch and outside backyard area. The backyard is level and has a patio area with a BBQ pit for those outdoor occasions when family & friends gather! The partially finished basement has a dry bar with small fridge and walk out to the outside. If you like to create ~ there is a workbench in the unfinished portion along with a laundry area. With some updates and TLC, this jewel will sparkle!